If your idea of camping is a quiet walk through the woods before returning to your rustic hotel, your regular brushing habits will be perfect for your trip. 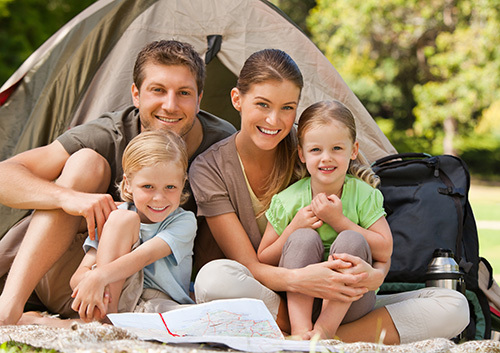 But if you are hiking into the mountains with your tent, backpack, and camp food, Dr. John Kokai and Dr. Linda Feduska and our team have some suggestions to adapt your dental routine to the great outdoors. Even though you are roughing it, stick with your home routine as much as possible. If you are unable to brush as usual, rinse your mouth well with clean water and brush when you can. Have a great trip, and just one more thought—maybe go easy on the s’mores. Let us know all about your trip during your next visit to our Mars, PA and Baden, PA office!